TORONTO, ON - ProjectLine Solutions Inc. (www.projectline.ca), a leading provider of business enterprise and software solutions for small and mid-size businesses, announces Gap Wireless as one of its most recent customers implementing the SAP Business One application. With customer installations across Canada, ProjectLine will be delivering the project from its Mississauga, ON office. Established in 2007 and located in Mississauga, Gap Wireless (www.gapwireless.com) is a leading provider of products and services for the mobile broadband and wireless markets. They work with industry-recognized vendors to stock and distribute thousands of wireless infrastructure and Test & Measurement products. Serving carriers and contractors throughout North America, Gap Wireless also provides value-added technical/engineering services. To support their continued growth and remain competitive, Gap Wireless needed a more robust business management solution that would integrate and streamline their business processes, with a particular focus on inventory management. Gap Wireless was looking for a single tool that would allow for multi-company and multi-warehouse management, as well as improved order management and eCommerce integration. Gap Wireless found the answer to its needs with the SAP Business One solution. The SAP Business One application is designed specifically for small and mid-size businesses that want to fully integrate their business and grow, providing transparency and instant visibility into operations. The solution helps companies to better unify, manage and control their entire business across financials, sales, customers and operations, while eliminating redundant data entries and errors at the same time. Customers have flexibility to extend the solution to accelerate growth with more than 500 pre-integrated, industry-specific and horizontal solutions from local SAP partners. We are a solutions provider that specializes in the implementation and support of software systems that improve business performance. 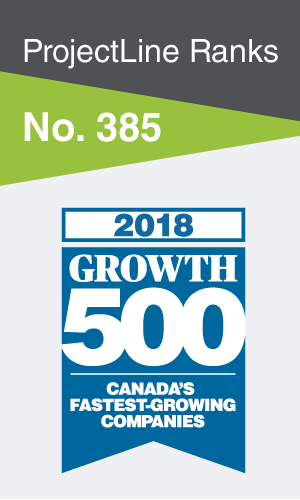 As an SAP gold partner that has been in business since 2001, we have provided clients in Canada and the United States with world-class software solutions and business consulting services that have enabled them to grow their businesses and be more profitable in today’s competitive business market. To learn more about how ProjectLine improves business management, resulting in enhanced quality and streamlined decision making, visit www.projectline.ca.